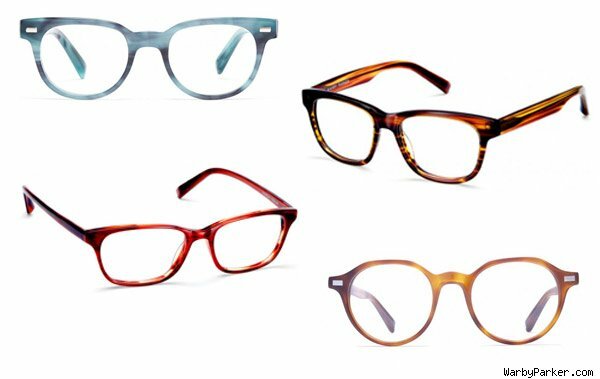 For many, eyeglasses are a necessity, but now that the functional frames have become a fashion accessory, prices have gone way up. Fear not, though, frugal shoppers. There are still places that offer stylish options at a deep discount. First, a quick recap on how glasses, which were once viewed as undesirable, went from geek to chic. According to 60 Minutes, eyewear giant Luxottica has been at the forefront of the industry, teaming up with luxury brands to manufacture frames. Over the years, the Italian company has signed deals with the likes of Chanel, Prada, Gucci, Ralph Lauren and Versace, just to name a few, and has not only changed the perception of glasses, but raised the prices on them, too. On top of owning brands like Ray-Ban and Oakley, retail chains like LensCrafters, Pearle Vision and Sunglass Hut are also under Luxottica's umbrella. "Luxottica's dominance ... it's what's called a price maker, which means that essentially it can set prices and other people will follow in its make," SmartMoney.com writer Brett Arends said when he sat down with the CBS news program. This explains why your local optician's prices are still high. Described as an "artful pair of frames," we think the Duckworth in this Marine Slate is pretty enough to paint. The Preston is a versatile choice for medium-sized faces. Tap into the style of 'Mad Men' with these Winston frames, which will complement any larger-than-average face. Here's looking at you, kid. These vintage-style Clyde frames in Blue Marblewood will make anyone's eyes stand out. These Sloan frames offer a traditional bridge and a slightly retro shape, all for under $100. The circular style of the Begley is great for medium-sized faces, and evokes the style of the '30s. For a pop of color, there's nothing better than these slender Marshall frames in Rum Cherry. The Benson is a refined choice for those who need corrective eyewear. Try them in Greystone, pictured here. The clear-bottom Fillmore in Tennessee Whiskey matches bold style with classic elegance. Forget classic black. Try these Crosby frames in Greystone for a bold, new look. Although it is relatively inexpensive to make a pair of glasses, they generally retail for 20 times their cost -- and that's just for the frames. With prescription lenses, you could be looking at a $600 bill, if you were to opt for a pair of designer specs. The average cost of a pair of glasses is $300, which is still a hefty price tag for plastic, glass and metal. Despite Luxottica's dominant market share, consumers can still get a deal on frames. The company's CEO Andrea Guerra names Walmart and Costco as its biggest competitors, while online retailers like Warby Parker, 39 Dollar Glasses and Eye Buy Direct are selling eyewear for hundreds less than their average cost. Warby Parker, in particular, is giving luxury brands a run for their money by offering a line of trendy frames for $95, including prescription lenses made of polycarbonate plastic. According to the New York Times, the company "keeps prices low by ordering from manufacturers and selling directly to consumers." "After we learned there was no reason that glasses should be this expensive, we said, why don't we create a different model?" Warby Parker co-founder David Gilboa told the paper. "We can bypass the retail channel and sell them for a hundred dollars and still have a very viable business." In the end, that means you can afford fashionable frames at a lower price tag. So, the next time you're shopping for new glasses, consider looking online or heading to Walmart or Costco. Your eyes and your wallet will thank you.